Bohemian style doesn’t have to be limited only to primary rooms like the living rooms, bedrooms, and dining rooms. 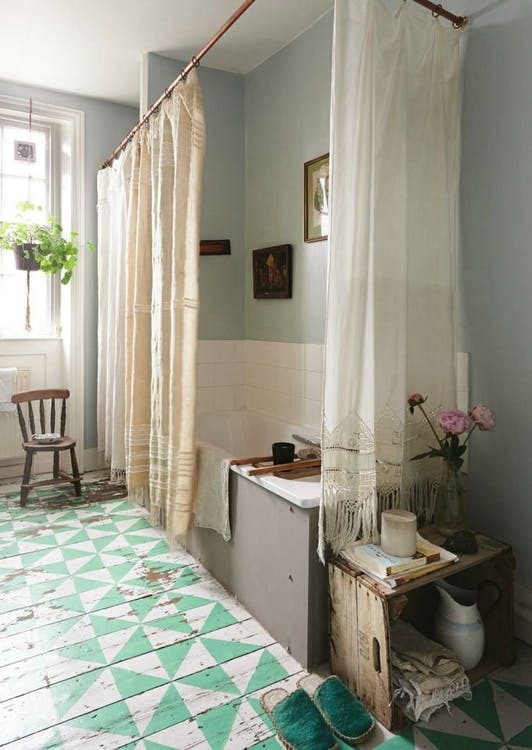 It’s possibly used in some secondary rooms including the bathrooms; but to achieve the optimal Bohemian look in your bathroom, you need to put all decor pieces in right proportion. Some different decor pieces of course will create a functional as well as unique look. 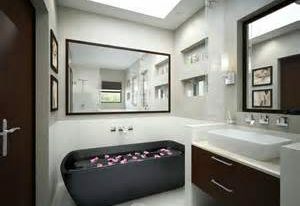 Remodeling the bathroom isn’t easy as you think since you have to make your new bathroom interesting and functional. With the addition of Bohemian touch, the bathroom will be more sensual, mystique, and opulent. 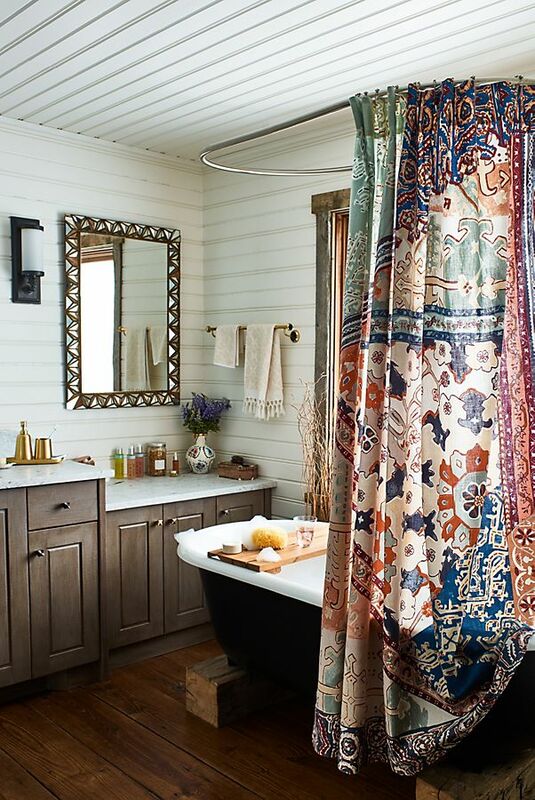 Be ready to add obvious patterns, vintage, burst of colors, texture, and something ethnic to get a real Bohemian style in your bathroom. 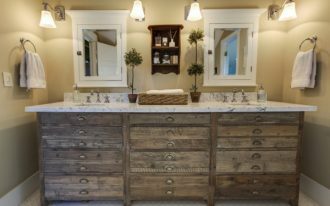 Here are several tricks to transform your old bathroom into a stylish bathroom with powerful Bohemian touch. One of Bohemian characteristics in architecture and home design is the colors use isn’t limited. 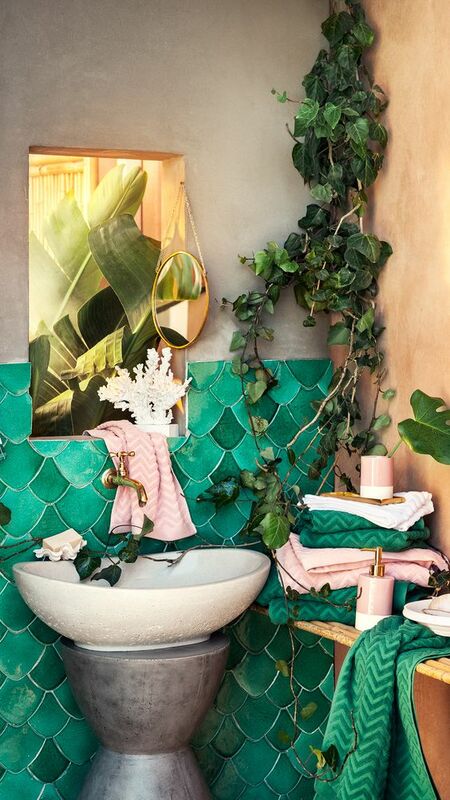 It’s free to go for colorful look with obvious color palettes, but it’s okay if you want to make a minimalist look to your Bohemian bathroom. You just play white and black color schemes with strong texture of color. For getting a full Bohemian, tropical color schemes sound so recommended. Just play with arts you adore most. 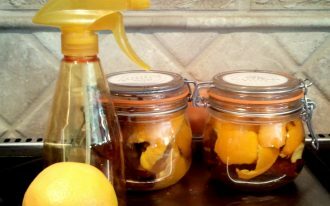 Bohemian arts commonly relate to animals, and you can put artistic animal arts in your bathroom. One of animal art examples is animal-designed bathroom hardware. The animal-inspired knob, for example, looks nice to add to your Bohemian bathroom. Just start from the small thing to achieve huge important role. Bohemian style also focuses on texture. You may put more than one texture just to achieve a Bohemian look you want. More textures you involve, more obvious Bohemian touch you get. Then, how do we should do with the textures we want to execute? It’s easy, actually. Just replace the plain floors with the textured ones. Mosaic tiles, for instance. Add also a colorful rug to enrich more texture of color. The rug here definitely will add another beauty. Remember, decor and color matching aren’t necessary in such Bohemian look. Bohemian look also closely relates to greenery. 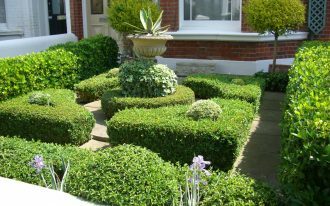 Greenery is the main element to give a lively look. Just select some good-survival plants like Aloe Vera that can survive both indoor and outdoor atmospheres. By growing up such kind of plant, it can bring more native look. It’s also important to pick various species of plant to break monotony. These fabulous tiles are Thirties Vertex supplied by Overstock. 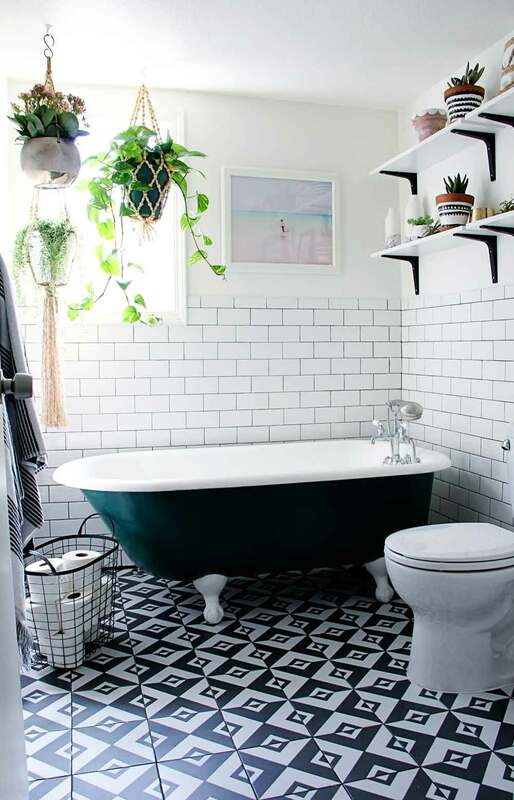 The tiles add a beautiful graphic patterns that meet the solid black clawfoot tub and subway tiled walls. Shabby but funky bathroom cabinet. Complete it with a vintage mirror to empower the vintage appeal. 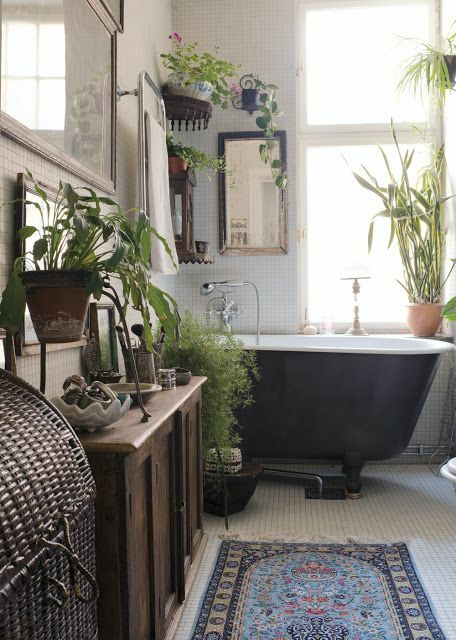 Don’t be afraid of textiles use for your Bohemian bathroom. 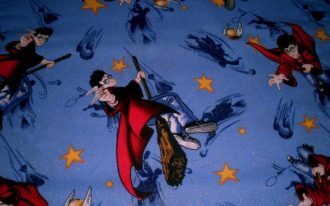 Select the light shower curtains for the interesting and functional accessory. The scheme and texture/ pattern of course will add a dramatic look. 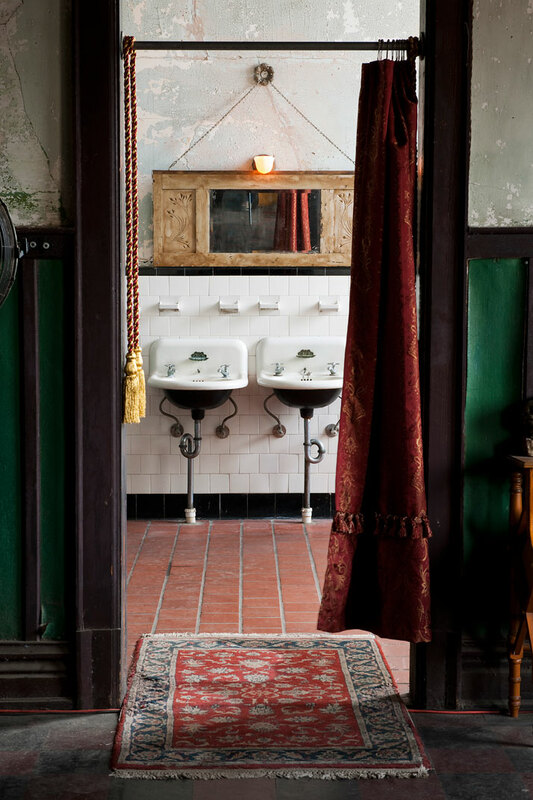 Probably, this Bohemian bathroom is the most striking one. The colors are so powerful and obvious. 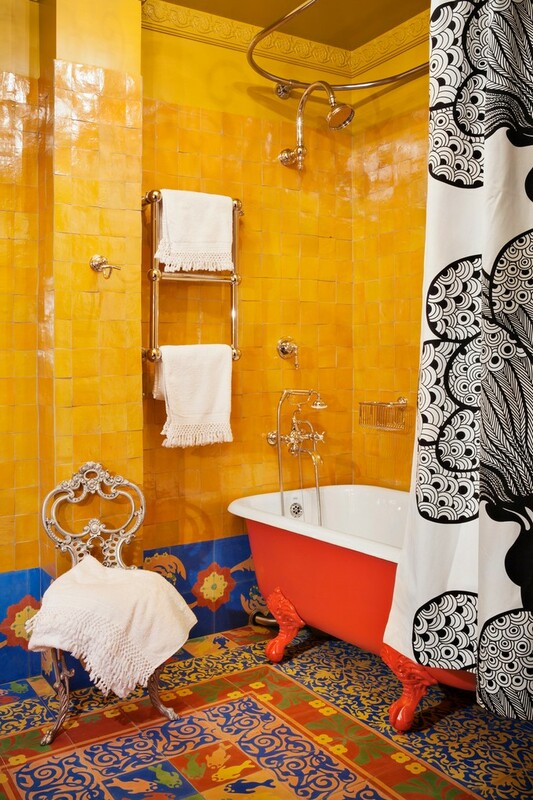 I find colorful Mediterranean-style tiles meet red clawfoot bathtub. These objects stand out against the sun-bath-toned tiles on walls. All these colors obviously create a vibrant ambiance. 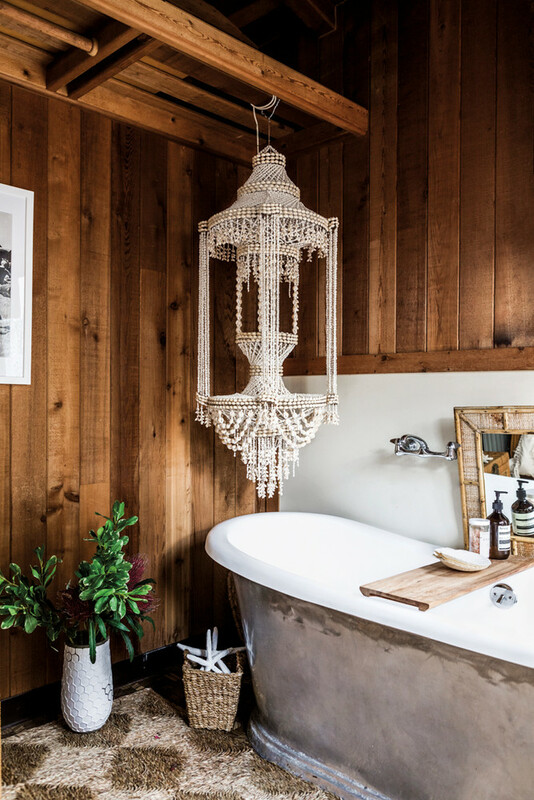 Highlight more the existing chic elements in your bathroom. In this bathroom, there are some chic elements such as black chandelier, vintage mirror with golden frame, and red cabinet. 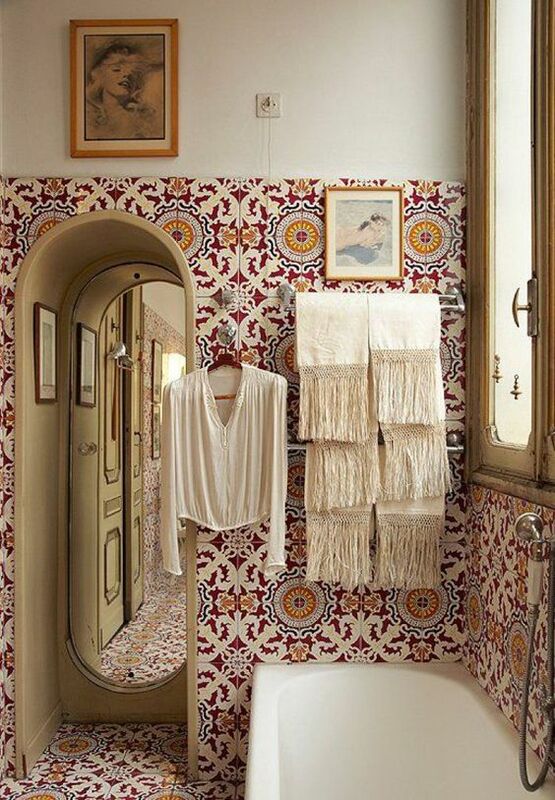 These pieces clearly contribute the Bohemian look in this bathroom. 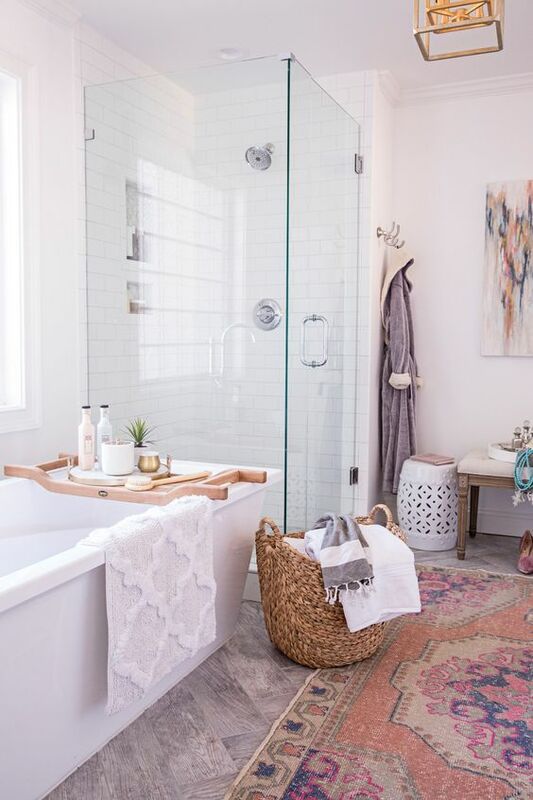 If you like adding Bohemian touch to your modern bathroom, select the right pieces and make sure to put them in right and proper place. 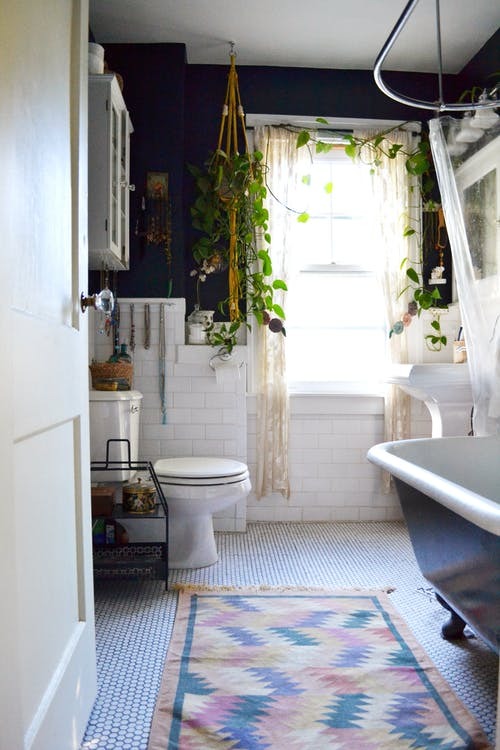 In this bathroom, I recognize there are just a little bit Bohemian look (the rug, specifically) that in fact gives an authentic look of ethnic piece. 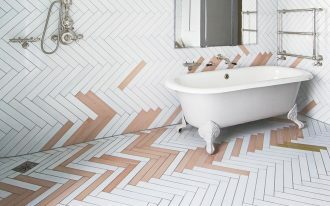 It can also be a beautiful texture as well as the color accent in your bathroom. 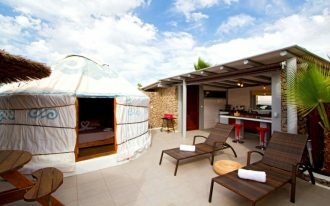 It’s unique to add Moroccan style to create a Bohemian appearance. It can give so obvious texture of colors through its pattern. A curved shape usually discovered on Moroccan-styled architecture also sounds interesting to implement. 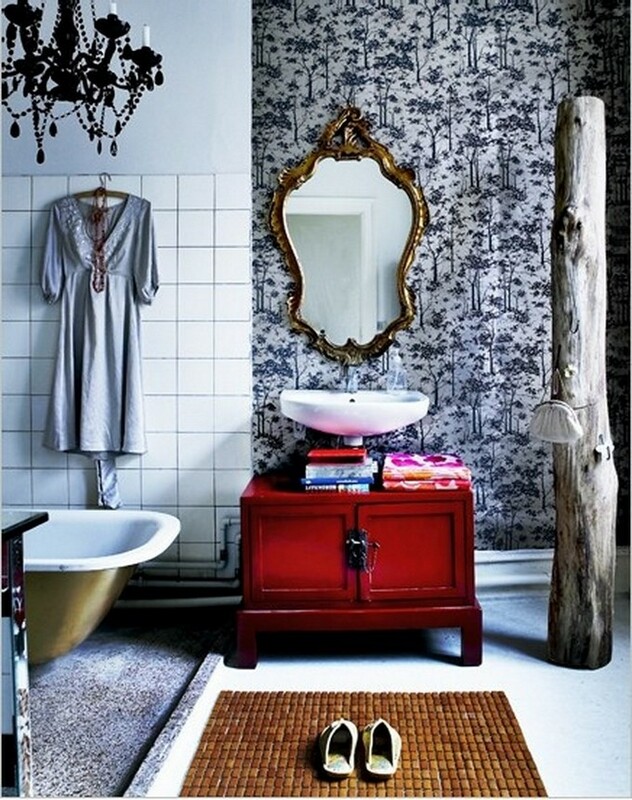 To create the sense of natural, you can include wood element to your Bohemian bathroom. This element not only can give a warmth visual, but it can also add a contrasting look to your bathroom.